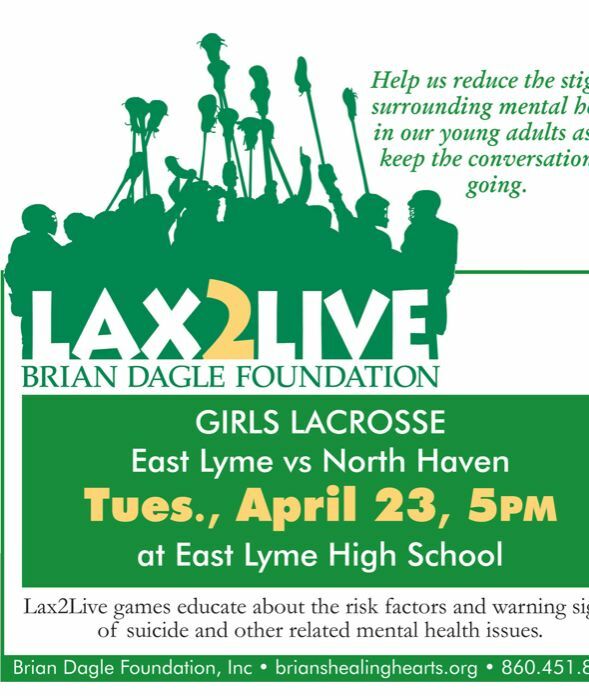 Please come out and support the annual Lax2Live game tonight at the ELHS Turf field. It will be a girl/boy double header. The girls play North Haven at 5pm and the boys play Waterford at 7:30pm. Let’s encourage our youth players to come out and support our HS lax teams and hear about this issue important to us all. ALL PARKS AND RECREATION ATHLETIC FIELDS ARE CLOSED TODAY MONDAY, APRIL 22 DUE TO WET FIELD CONDITIONS. THANK YOU FOR YOUR COOPERATION! !